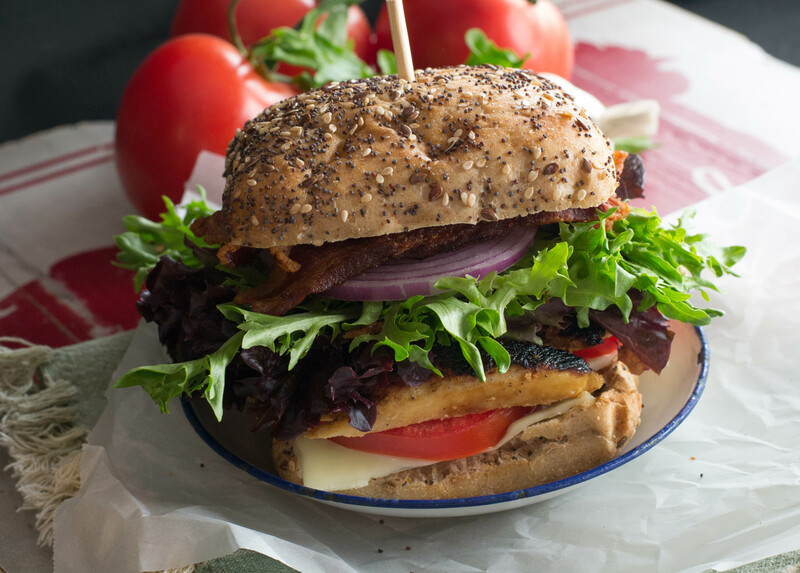 Mojo Grilled Chicken Club Sandwich - What the Forks for Dinner? What in the world is mojo sauce? 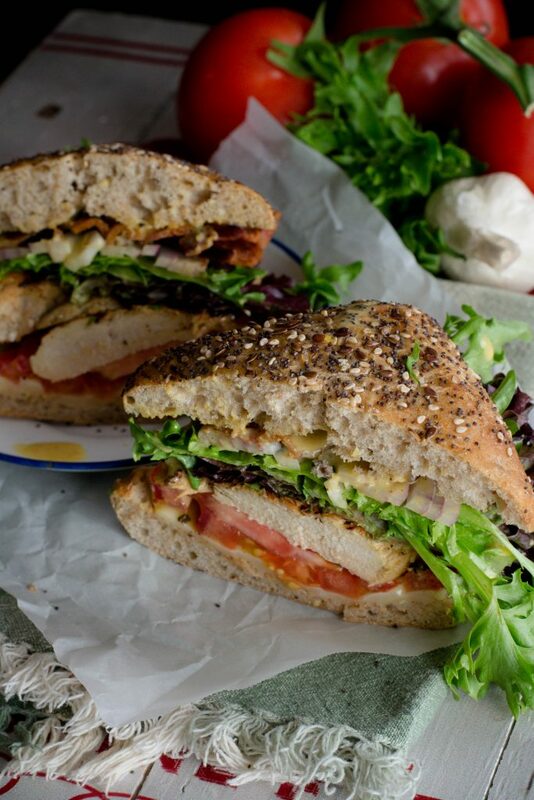 The best marinade for a Mojo Grilled Chicken Club Sandwich! First, just let me say that this marinade was delicious, super easy to make, and it can do double duty. You can use it as a marinade like I did. Or it can be a condiment to dip or drizzle….I will try that next time. I get a lot of recipe ideas and trends sent to me from my job as a Food Service Director. One trend that caught my eye was Cuban food, specifically Mojo Sauce. So, as I had never hear of Mojo sauce before I set out to find out what the hubbub was about. Pinterest to the rescue. There are a lot of recipes for this sauce….I mean a LOT! I did discover a common theme, orange juice, lime juice, garlic….tons of garlic, and spices, which varied widely. Many recipes called for sour oranges, which I had never hear of and could not find. I used regular oranges. Since I have never had Mojo sauce with sour oranges I don’t know if it makes a difference or not. If I ever run across them, I will try it and let you all know! I added olive oil, salt, fresh oregano, and cumin. It smelled fantabulous. The marinaded the chicken for about 8 hours. Knowing that citrus can “cook” chicken,I wans’t so sure, but I didn’t have a problem. You can marinade for as little or as long as you like. I used a grill pan but, a skillet will work fine, or if your weather is better than ours at this point, I think outdoor grilling would add something extra special to this already tasty club sandwich. Everything else is prep work. 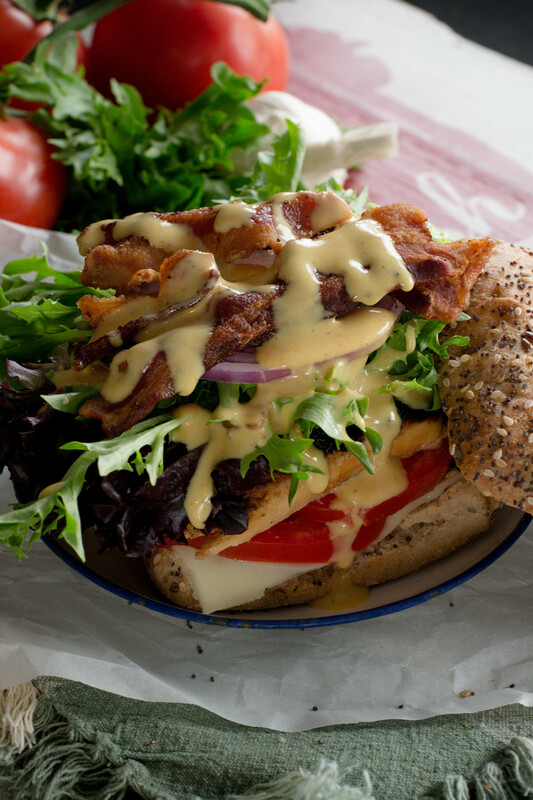 Slicing the toppings, and mixing the honey mustard sauce, which by the way adds a mustardy, sweet, tanginess to the sandwich. 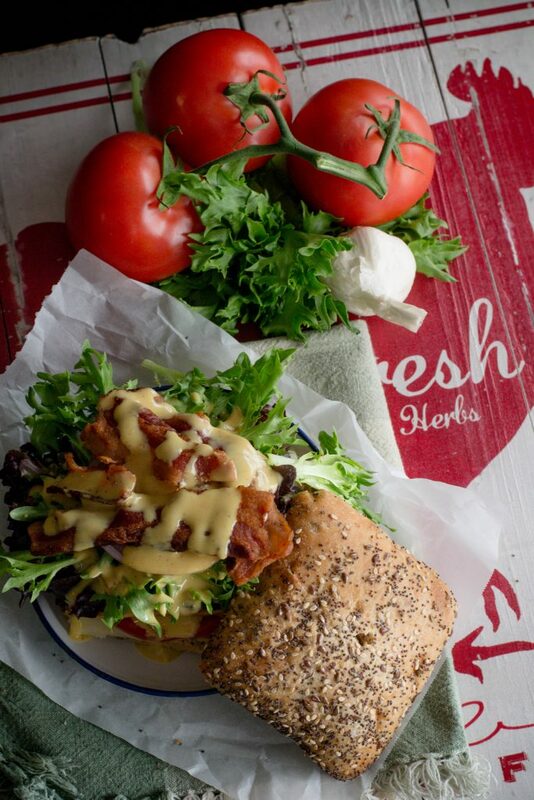 Serve the honey mustard on the side……yeah it’s that good. 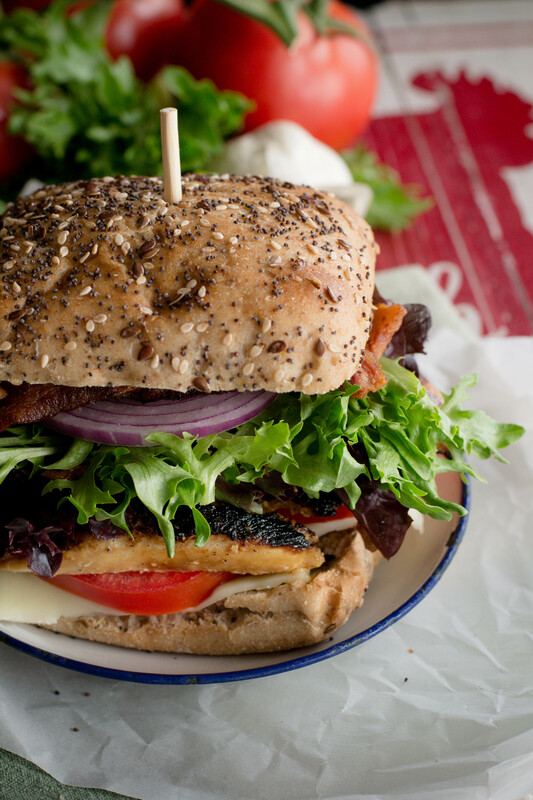 Giving a nod to new trends and a found old remembrance to my youth I give you the Mojo Grilled Chicken Club Sandwich! In a medium bowl, combine all ingredients for the mojo sauce. Place chicken breast into sauce and marinade. I marinaded mine for about 8 hours. In a small bowl mix all ingredients for the honey mustard sauce. Refrigerate until serving. Preheat a grill pan or large skillet( sprayed with non stick cooking spray), over medium high heat. Remove chicken breast from marinade and discard the marinade.Cook the marinaded chicken breast until cooked through completely. Alternately you can cook on your outside grill. To assemble the sandwich; place the bottom of a toasted ciabatta bun on a plate or cutting board. 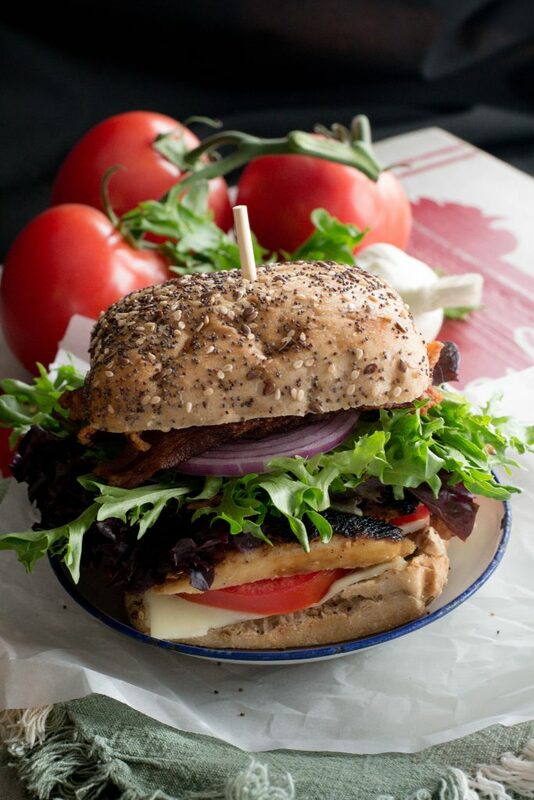 Layer cheese, tomato, chicken breast, lettuce, and red onion. Top with bacon, then drizzle with honey mustard sauce, placing reaming piece of ciabatta bun on top. Serve extra sauce on the side for dipping.